People having sleep apnea disorder can be managed by continuous positive airway pressure (CPAP) treatment using respironics masks. Sleep apnea disorder is a kind of illness wherein a person is having inequality or gaps in breathing while asleep. A person with this disorder usually stops breathing for 10-30 seconds and for almost 400 times the whole time he’s asleep. 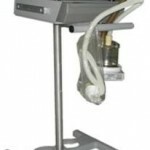 Respironics CPAP mask is a device used to ease the circulation of breathing. Typically, it is used by patients in the ICU (intensive care unit) but can also be used by people who are suffering from sleeping disorder like sleep apnea. This girl is suffering from a sleep apnea disorder. She is wearing a CPAP full face respironics mask. The mask is supported by straps around the face and it covers almost the entire region of the face. What Are the Types of CPAP Respironics Masks? There are different types of CPAP respironics masks in order to meet the right mask that corresponds to different people. People do differ in the way they breathe when asleep; some breathe through their nose while some breathe through their mouth. Another purpose of having different types of this mask is for people to choose which one fits the outline of their face and the one where they are most at ease. This mask is shaped to entirely fit the vicinity of your nose. CPAP nasal mask is supported by a strap that surrounds the head just like a baseball catcher’s mask. The gel pads of the mask are positioned around the nose and head for more comfort and assurance. It covers only a few parts of the face so a person wearing this mask can still sleep comfortably. 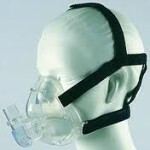 A head-strap-secured mask that covers both the mouth and nose for persons who are used to breathing through their mouth. These respironics masks cover a greater area of the face compared to the CPAP nasal masks. It still provides a comfortable fit to those who prefer to use this mask and still gives them restful nights. It has the smallest face coverage of all types of respironics masks. “Pillow” is used to portray the manner the mask wrap-ups in the nose. The mask uses a beanbag like device that is inserted into the nostrils. Straps around the head and chin support the mask for a comfortable yet secure fit. For those who are using respironics mask for the first time, this nasal pillow mask is the best to try. Its small face coverage gives the mask user enough ways of positioning their head during bedtime. 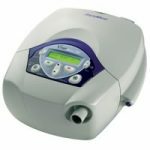 What to Do With Respironics CPAP Mask Problems? The mask is uncomfortable. The first time that you will use respironics masks, it is natural that you will be irritated with the straps and whatever it is that covers your face. After several days of wearing the mask, you will get used to it. If however, the mask continues to irritate you then you should consider shifting to a different mask type. Respironics masks irritate your skin and nose. If in case that your skin is sensitive and it gets irritated by the mask’s straps or gel pads then you can place a gauze pad between the mask and your skin. You can also try using the type that has built in moisturisers. You take your mask off every time you sleep. Some people can’t stand to wear these respironics masks and their tendency is to remove the mask or not wear the mask at all. You just need to train yourself on wearing the mask. Try to wearing it for one hour first until you can wear it for longer hours. Although there are sleep apnea treatment options including the use of respironics masks, it doesn’t literally mean that the sleeping disorder will be treated. There is no scientifically proven cure for sleep apnea disorder, only methods and devices to help ease breathing. In other words, respironics masks work to help the patient breathe without difficulty and amend his snoring nights as well as his life.